October 31 is the anniversary of our first date. 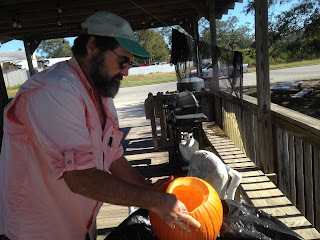 Every year I remind Dave that I got the trick and he got the treat! 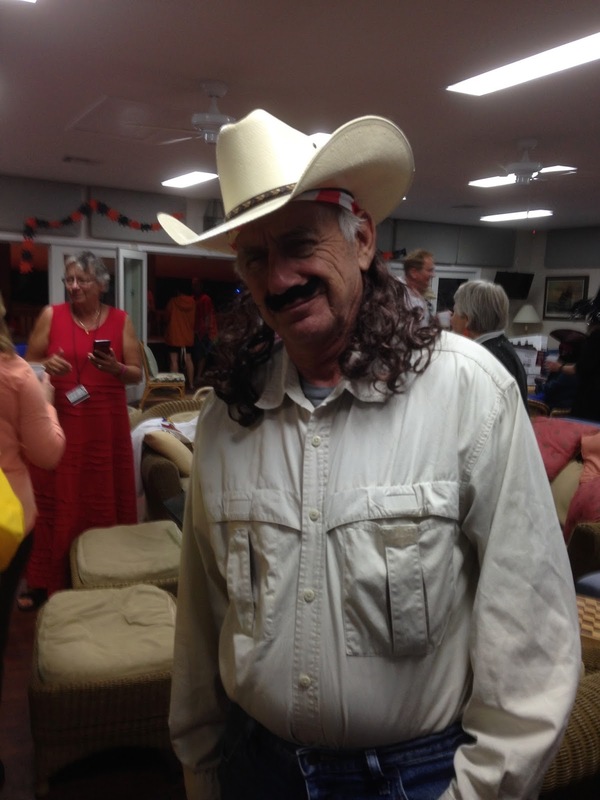 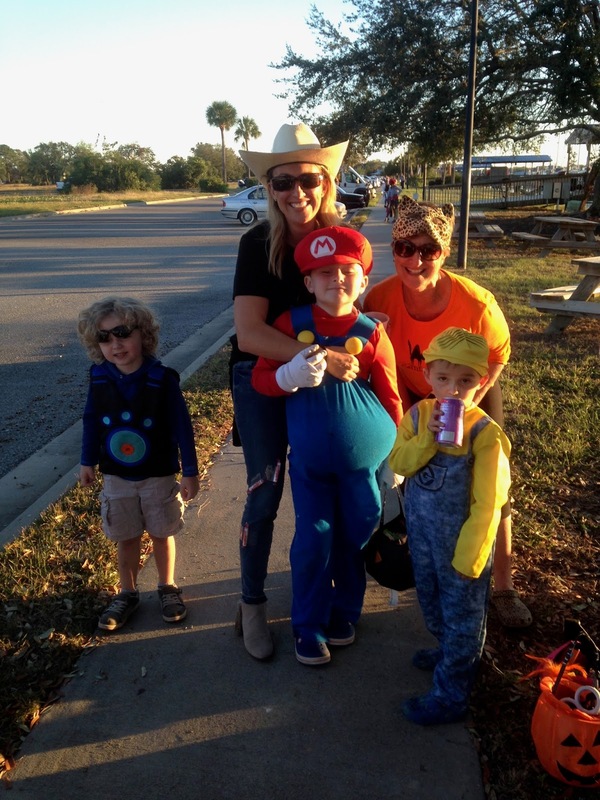 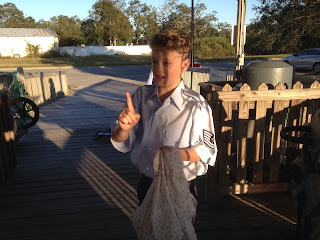 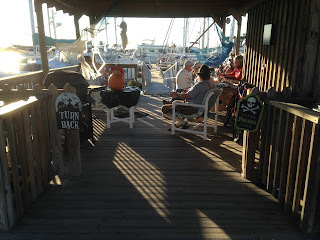 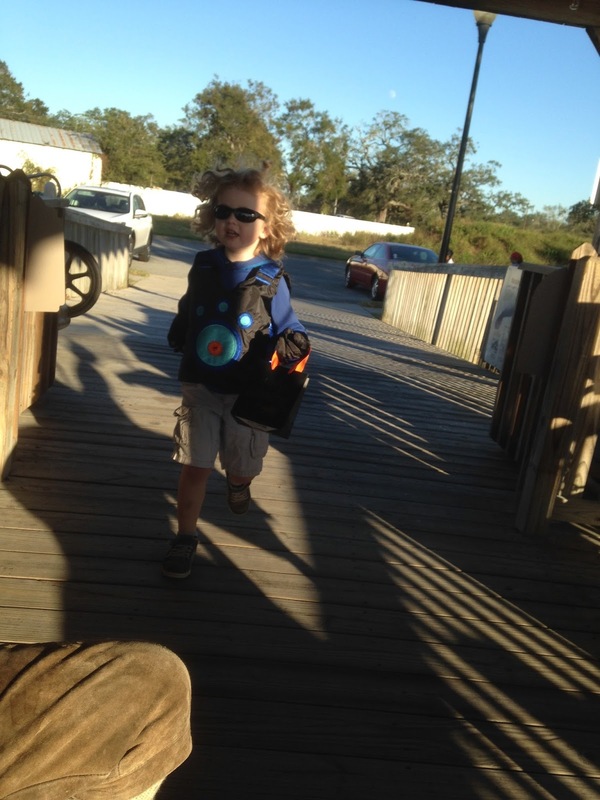 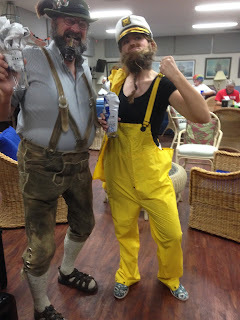 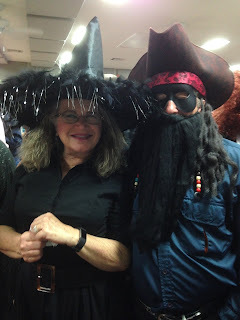 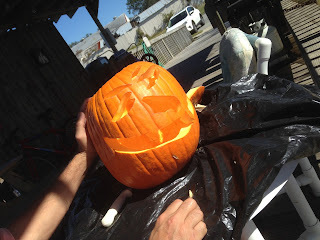 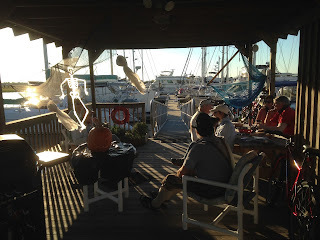 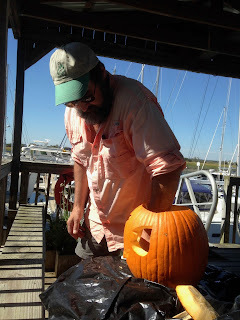 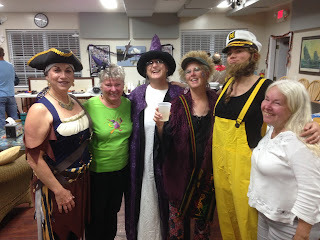 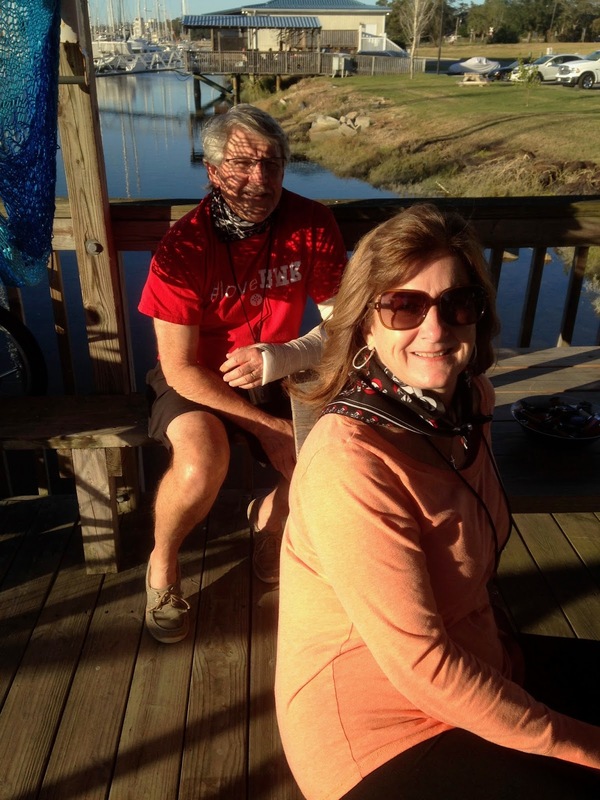 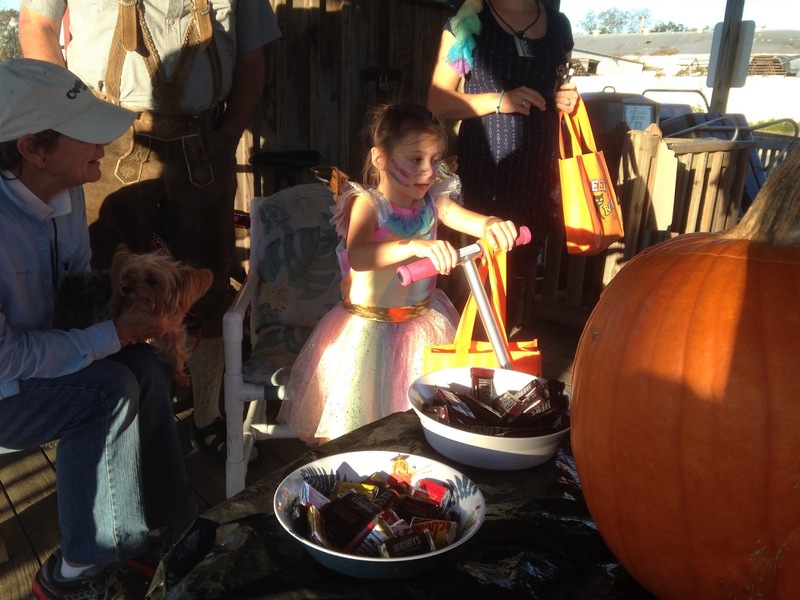 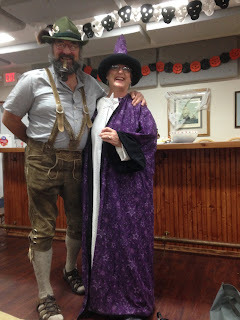 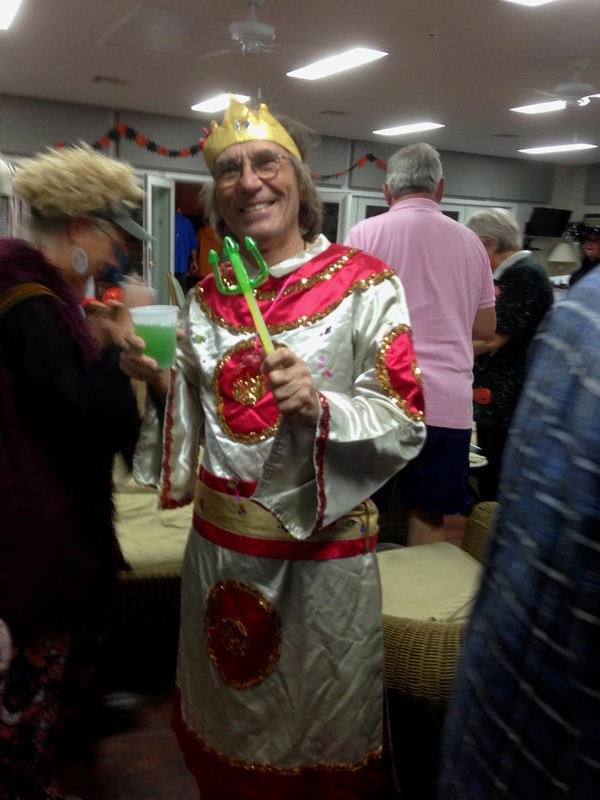 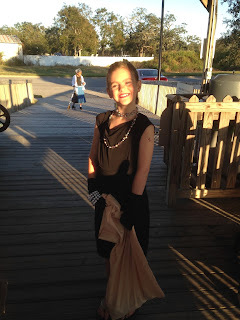 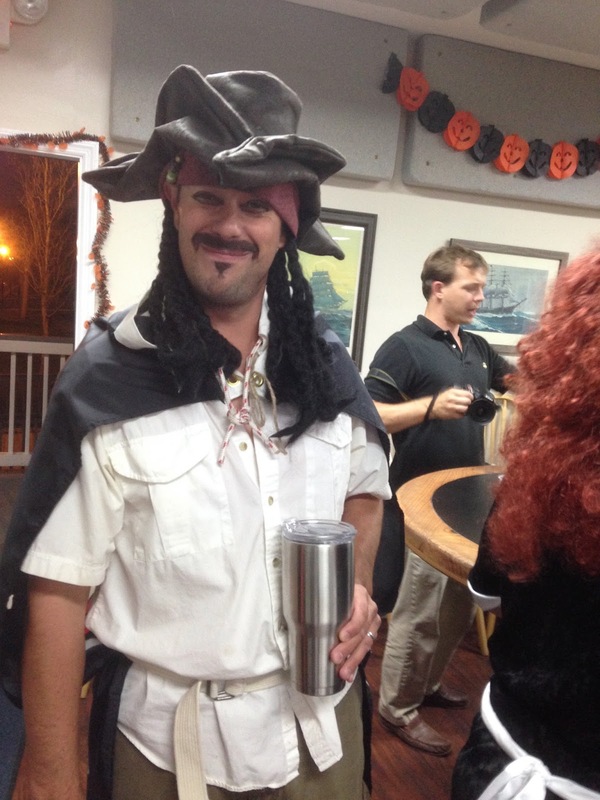 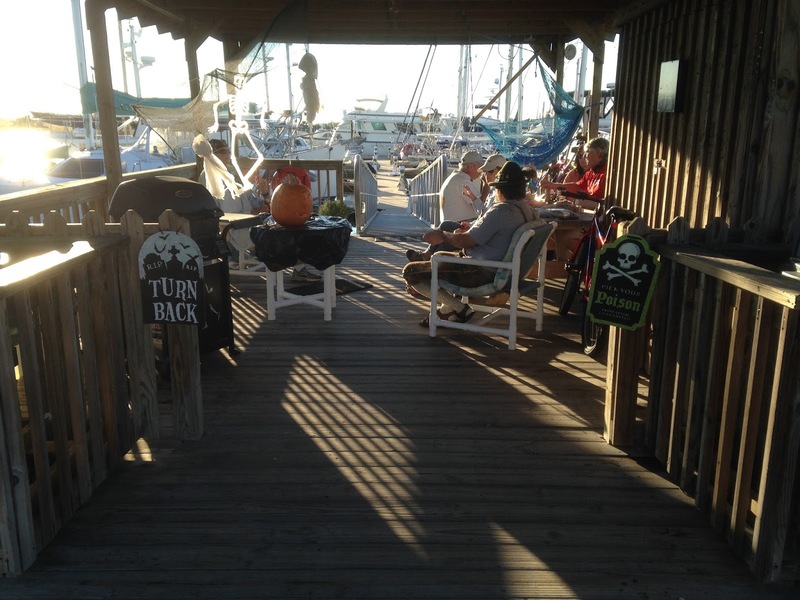 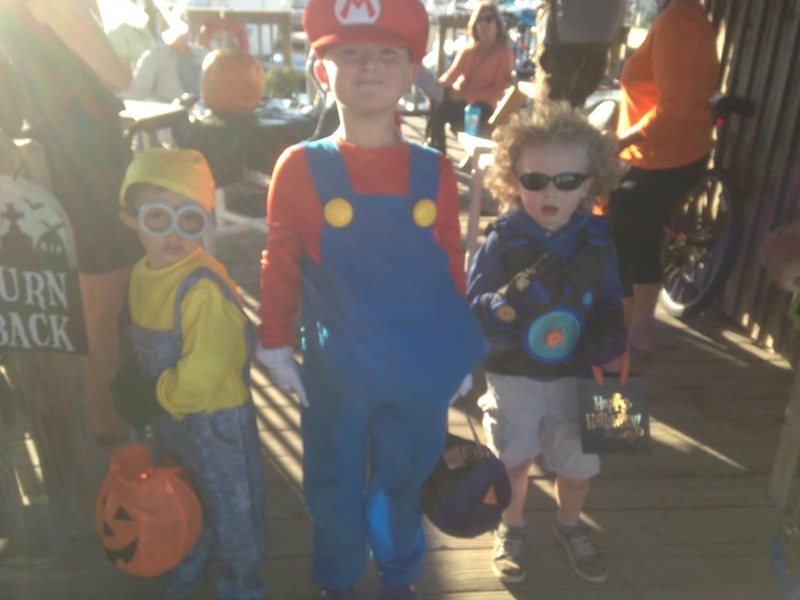 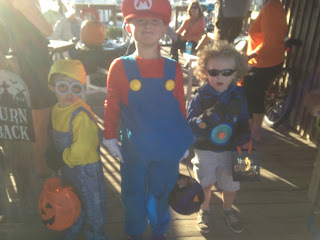 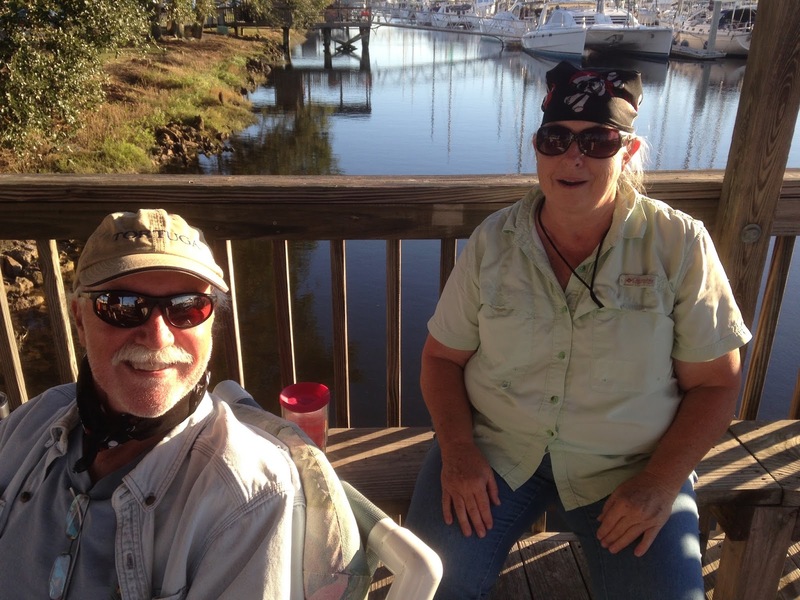 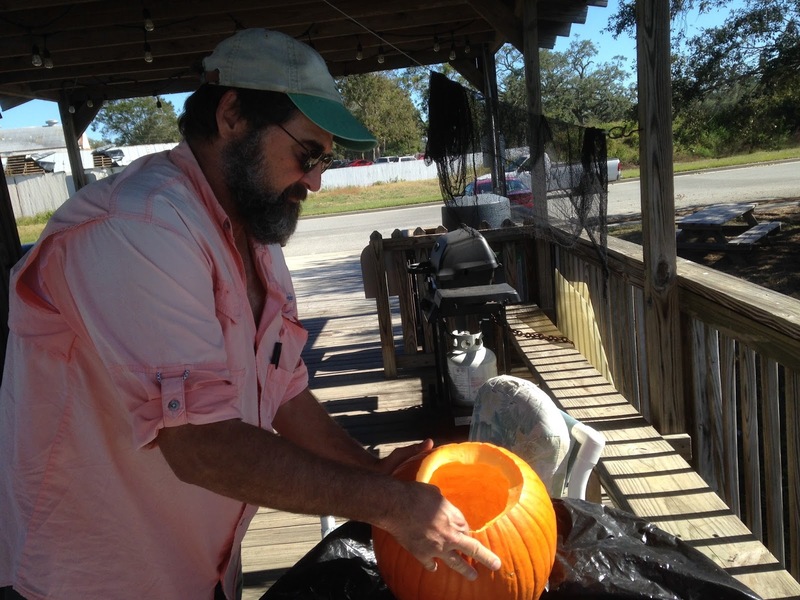 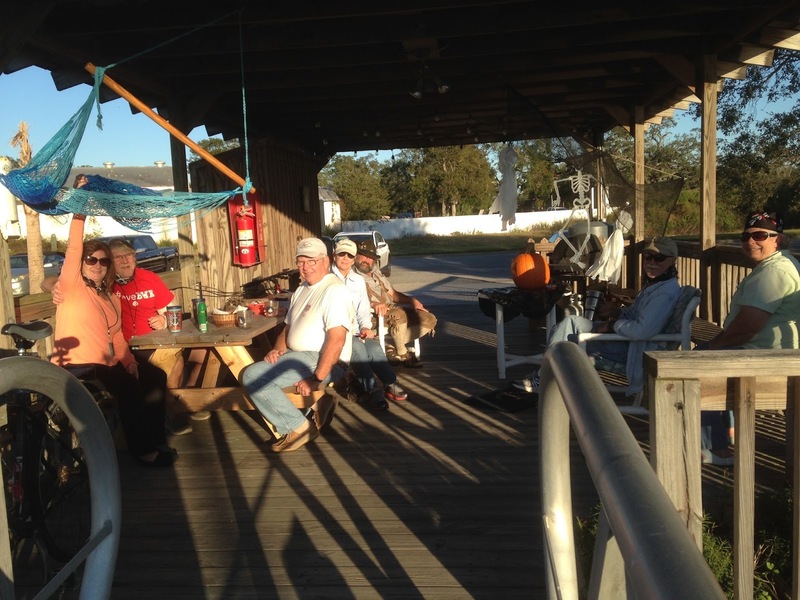 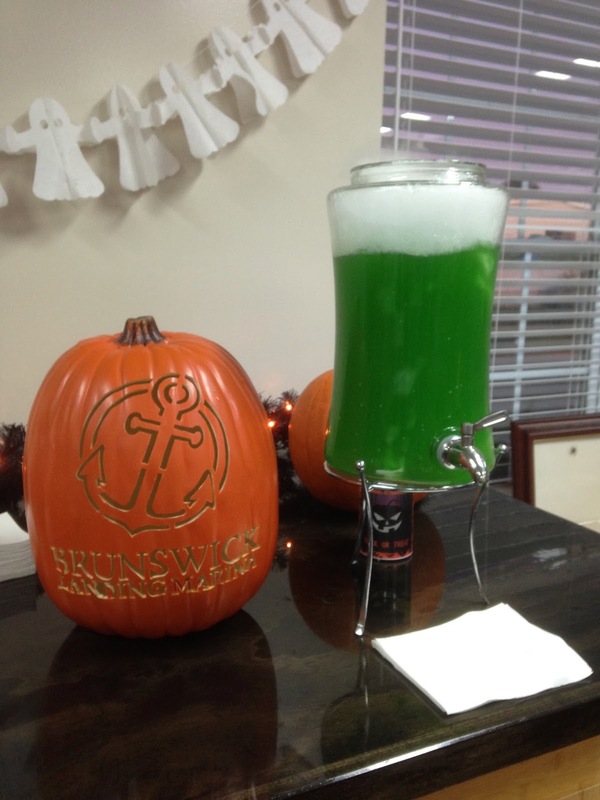 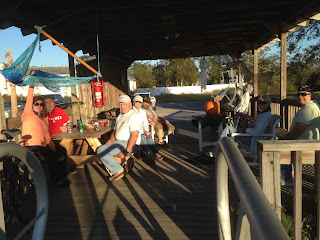 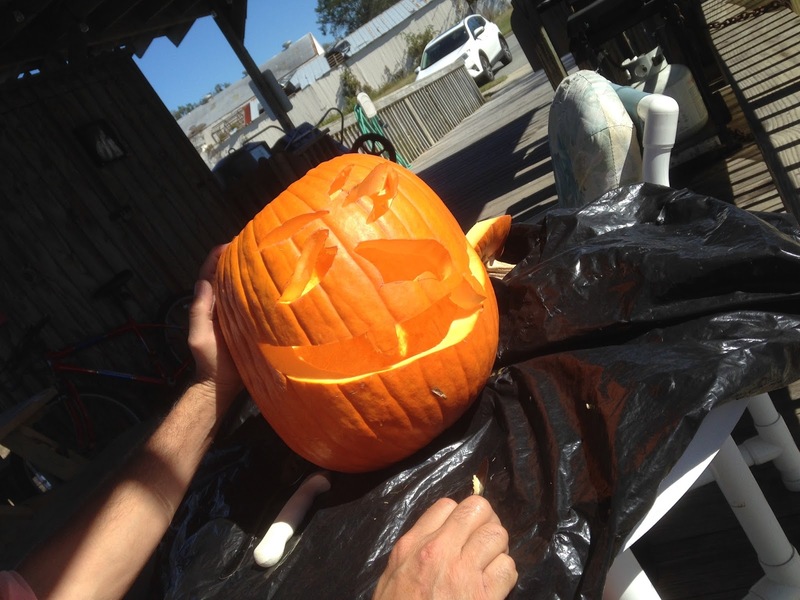 Brunswick Landing Marina had a Halloween party for us. 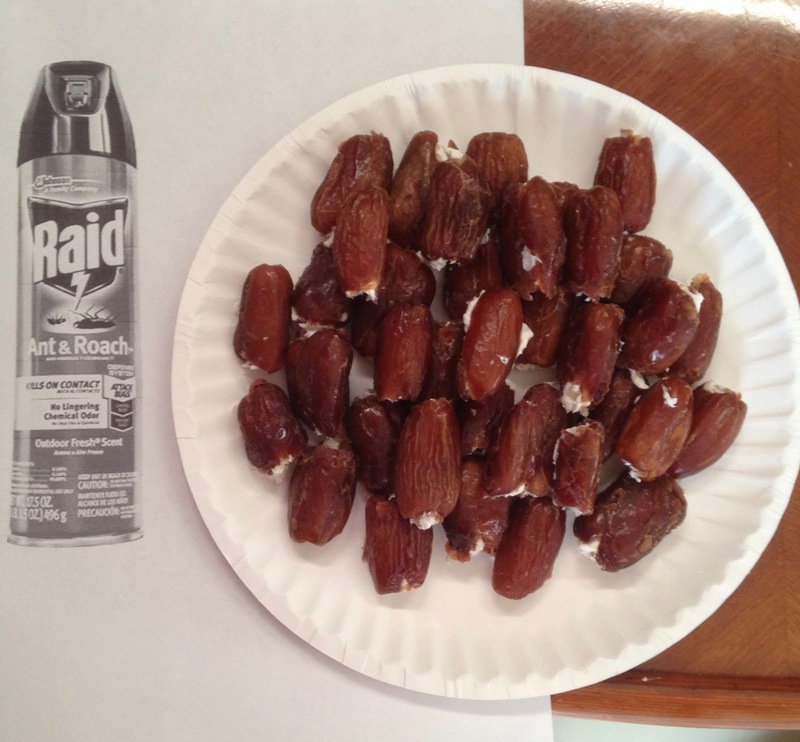 They provided pizza and others brought potluck. They also had a green punch with dry ice. 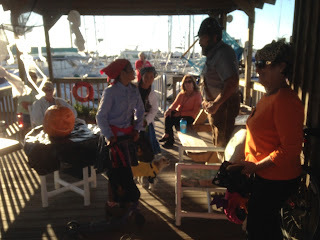 Many boaters came in costumes. 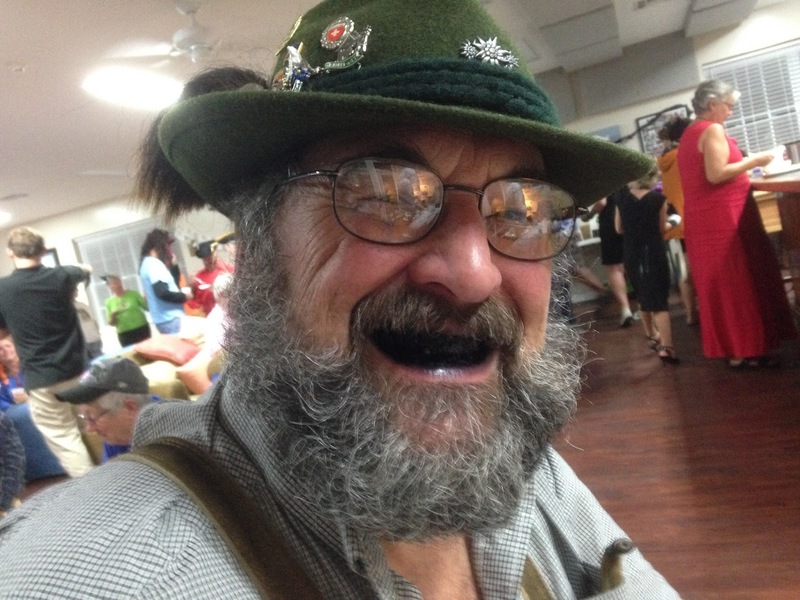 Dave actually won first prize for the men in his German Lederhosen. 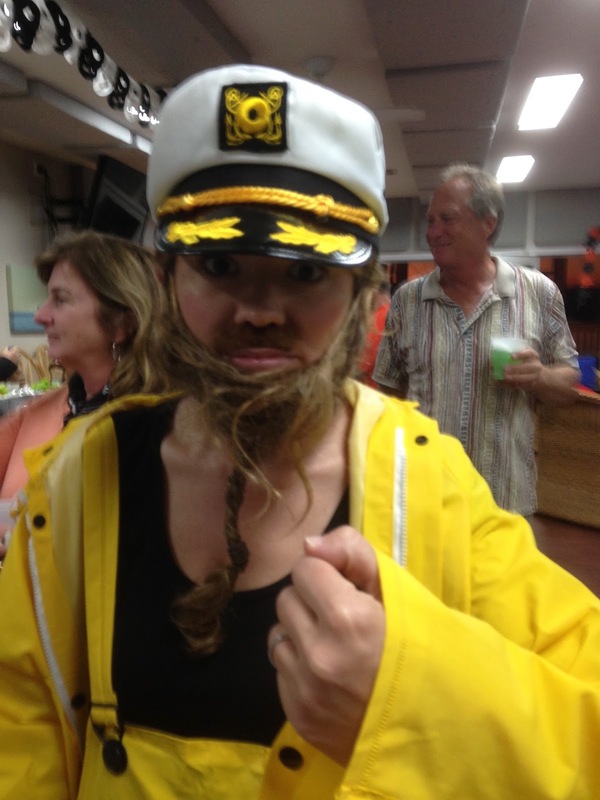 Luckily we had costumes in our storage unit. The woman that won first prize used her own hair to make a beard and be a salty sailor. 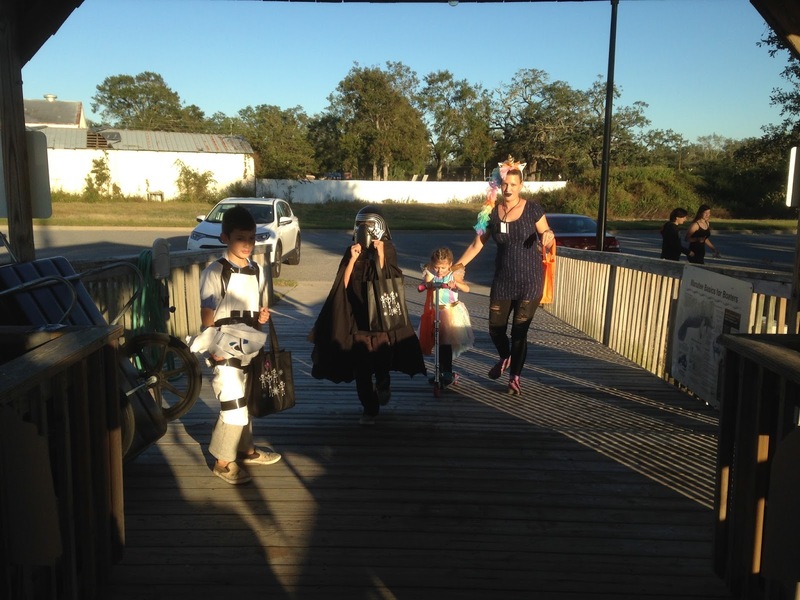 There are a few families here this year. And a few boaters had grandchildren visiting. 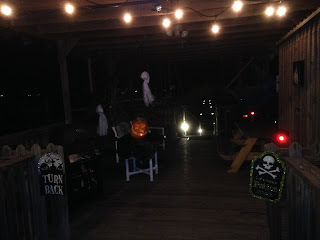 So we decided to have the kids trick or treat at each of the 15 docks. Some of the docks even decorated the shelters at the top of the dock. We had so much fun seeing all of kids. And it always amazes me to see what boaters come up with for costumes. 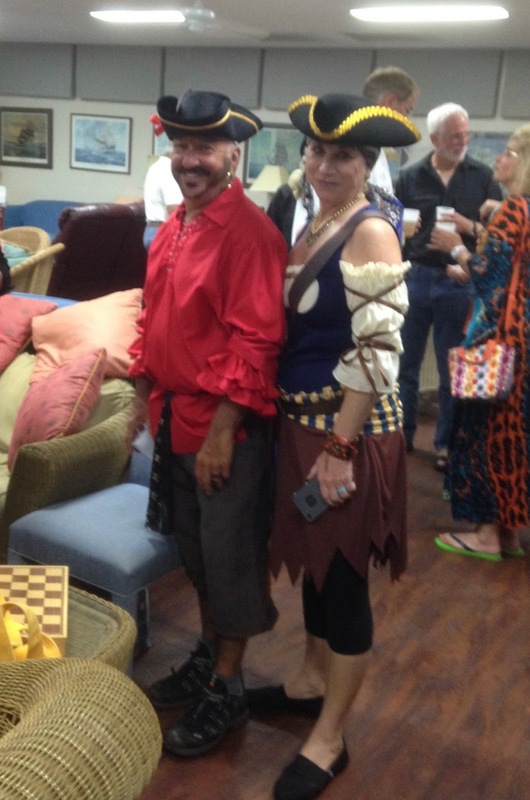 I think a lot of them have pirate costumes on board.